Since all certified vinyl siding in Edmonton is tested to withstand winds of over 100 mph, and weather extremities, it is one of the best siding materials you can ever opt for. 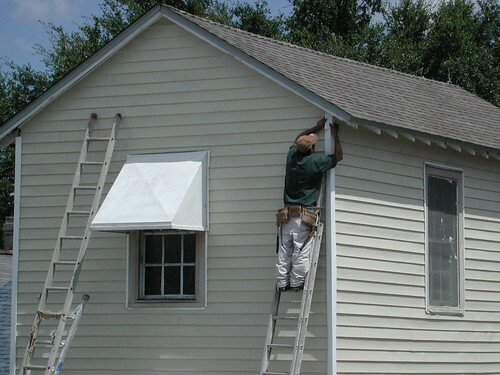 Vinyl siding is made to withstand the coldest sub-zero winters and hottest summers. In this case, rainfall has little chance of affecting your vinyl siding. Vinyl sidings are quite easy to care for and maintain. Furthermore, they are not susceptible to issues such as insect damages, cracking and rotting. It also does not require to be painted and only needs periodic cleaning with mild soap and water to keep it looking like new. Vinyl sidings are extra lightweight making them one of the easiest exterior claddings to install. And because it can be installed over existing materials, it is an ideal retrofit choice. Furthermore, due to its ease of installation, lots of labor costs are saved. It is, however, recommended that you let a reputable installer to handle the installation undertaking as he or she has the right knowledge and tools to do a perfect job. Vinyl sidings are some of the safest materials to use on your interiors as they comply with the stringent NFPA, (National Fire Protection Association), requirements for insulating electrical and data transmission cables. Generally speaking, this siding material is a green option. In this regard, it outperforms most of other cladding materials, including brick, in almost all life cycle stages for economical and environmental performance. Insulated vinyl siding offer enhanced durability, sustainability and beauty as well as the added advantage of improved energy efficiency. Due to its capability to reduce thermal bridging, insulated vinyl siding has been added to the checklist of construction products that can help meet the requirements to qualify a new building as an energy star qualified building. Vinyl sidings come in a wide range of profiles, architectural trim, textures, colors and profiles. You can get sidings that can effectively mimic the look of many forms of architectural and cladding accents, including slate, stone, and wood. Apart from this, there is a wider range of colors with improved color retention capability. Vinyl sidings are designed to effectively accentuate the best features of most architectural home styles. This way, homeowners do not have to compromise the beauty aspect while seeking to enhance the curb appeal of their homes. Due to current advances in vinyl sidings manufacture, the materials today are being used in historic home renovations by most historical societies in the country. All in all, the lifetime warranties offered by most vinyl siding manufacturers are a clear testimony to its durability, cost effectiveness, sustainability, and much more. All these features have made it one of the most used cladding materials in homes all over the country. However, when searching for the right siding for your property, weigh your requirements against the merits and demerits of the material you want to select.